**To be ENTERED to Win you will want to be sure to visit all blogs and leave comments for each blog and Here letting us know you have completed the blog hop!! 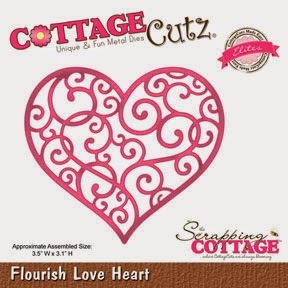 Enjoy, there is lots of Inspiration using the latest CottageCutz dies!! The Winners will be posted on July 7th :) so be sure to check back to see the WINNERS then!!! 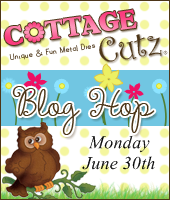 Welcome to the Cottage Cutz Blog. It's Carol here today. 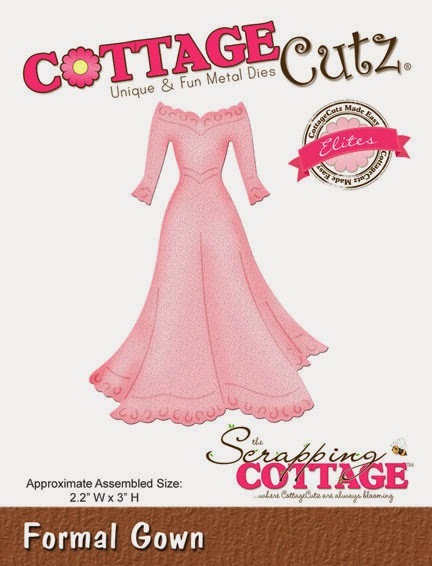 I would like to share a project with you using the beautiful Wedding release from CottageCutz dies at The Scrapping Cottage. 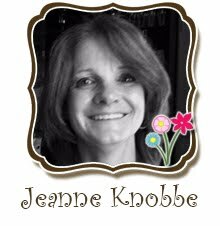 Don't you just love all the sweet little "Epression Dies" that JoAnne has created. They add another dimension to your die crafting needs. 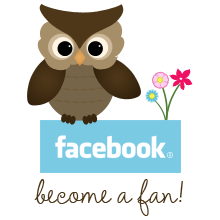 Do you recognize the "Paper Fan". It is from the dollar bin at Michaels. There were two to a package. You could get 2 small, or 2 large paper fans. They were also available in two sizes in the color pink as well. I purchased a bunch of them in both colors. This is the first opportunity that I have had to play with them. What fun-and talk about fast and quick. 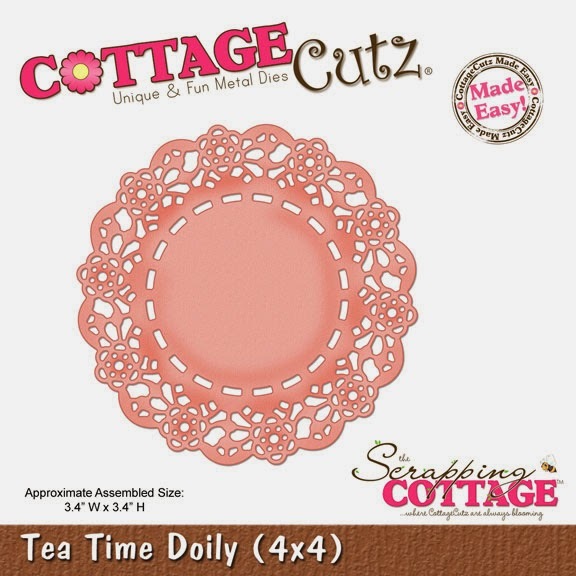 I used the CottageCutz dies Wedding Cake, Tea Time Doily, Garden Flourish, and the Bridal and Shower Expression dies. Do you feel sometimes like you are not what you really are? That you are talking something, but thinking something else? It is important to be “who and what you want”. I just could not leave this Coco Chanel sentiment aside. I needed some strong words to combine with beautiful red dress. But I wanted even more, I wanted special dress, something unusual and so I »sewed« red evening dress with dots. Polka dot is not typical for evening dress, but it is something special. 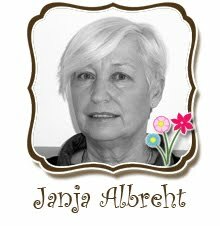 I used two dies: Formal Gown and Spring Label. Sentiment was created in Word. This is it for today. Have a great day and don´t forget to be yourself! 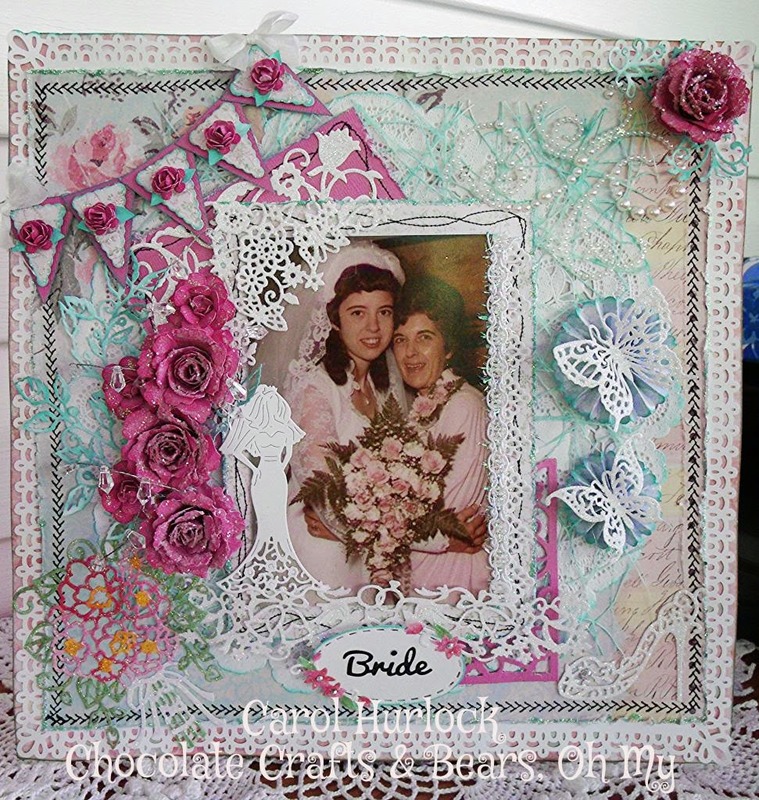 Hello everyone, Today I wanted to share a Shabby Chic Engagement Card I made for & The Scrapping Cottage using the Beautiful CottageCutz Wedding Release. I absolutely LOVE this release, as there are soooo many beautiful dies in this collection. This card is a Clean & Simple card for me, as I always have tons of layers on all my cards. This one is just a White Wedding Invite /With embossed pink Roses on it. It was 8 1/2 tall, and I decided to fold it in half to create a card base. I bought these at the American Crafts Warehouse sale for 1.00 a box. Next I added Really Reasonable Ribbons Lace along the bottom, this lace came out of one of the Ribbon of the Month Kits, its called Carolina White Lace. I love the look it gives to my card. Next I used the Baby Pink Seam Binding, and Ruched it up to create a Trim look above the lace. 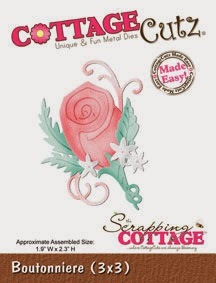 For my Rose Bouquet I used CottageCutz Wedding Bouquet ,and Boutonniere dies from The Scrapping Cottage. For the Rose Bouquet I colored it in green and pink copic markers, and then added some glitter to parts of it. Next I added pearls, and then the Boutonniere that was also colored with copic markers. 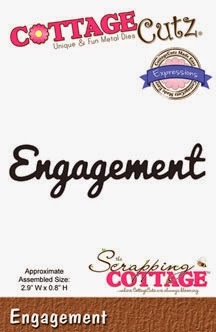 Engagement was cut out using CottageCutz Expressions die, and I ended up using black embossing powder to give it the look it has. 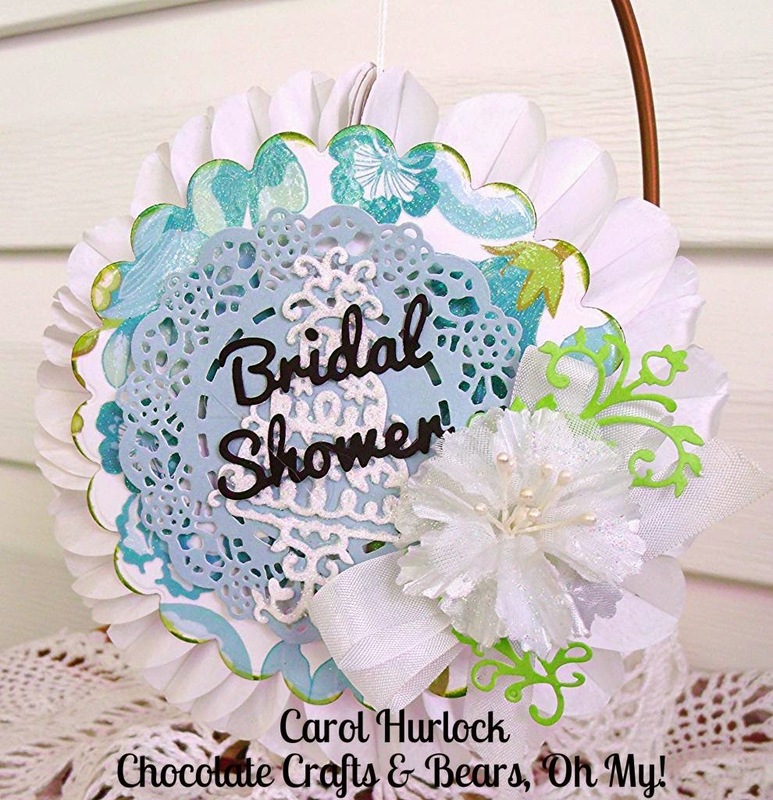 Super EASY and FAST card to make! I hope you enjoyed today's Post, as I have enjoyed making this to share today! 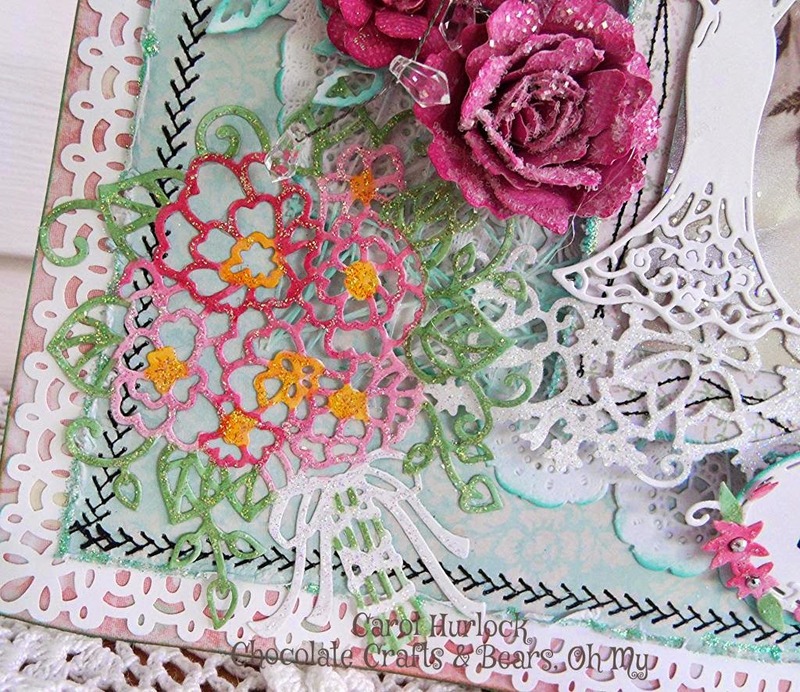 Today I am sharing with you my new Happy Birthday card I created with beautiful CottageCutz Collections of dies. 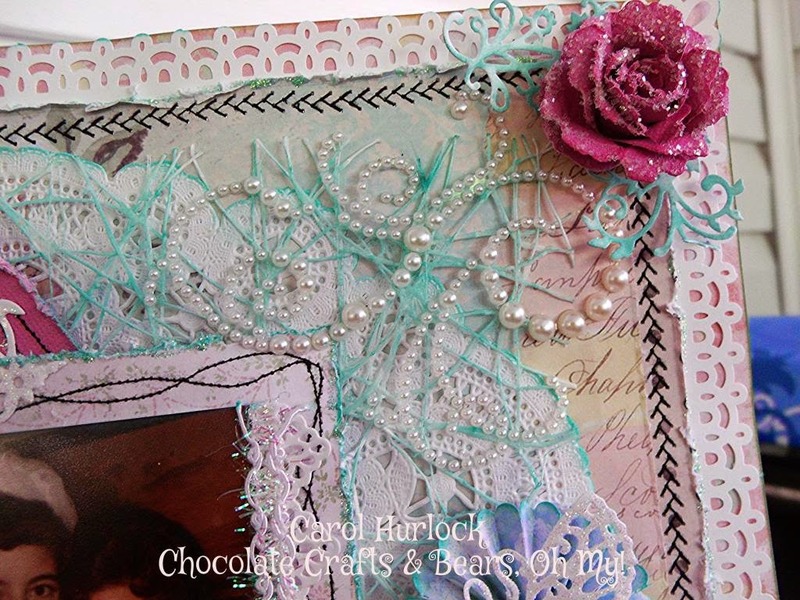 For this card I used different dies (Leafy Foliage, Garden Delight Butterflies and Fancy Floral Border). First, I cut all image out using different colors of papers. The leaves I colored with Copic airbrush system using YG67 Moss color. 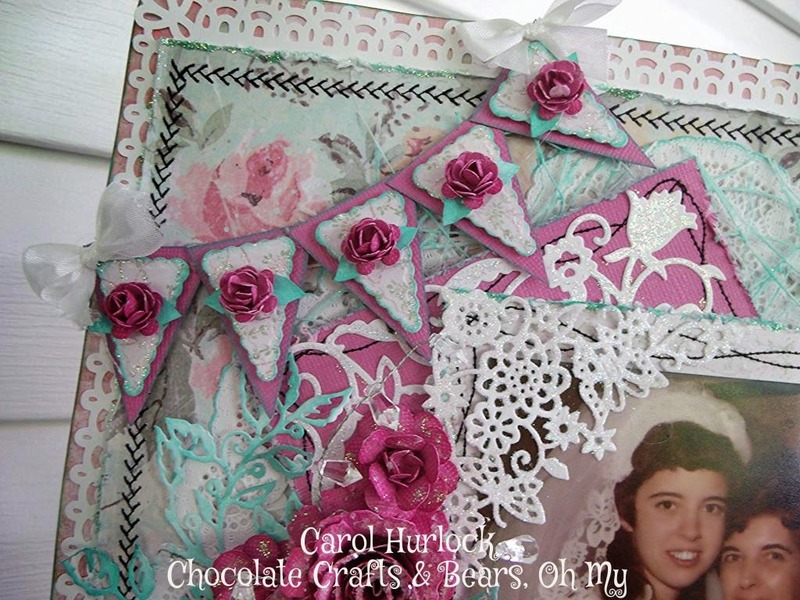 I also used border punch to make beautiful edges on card. front as shown in picture above. 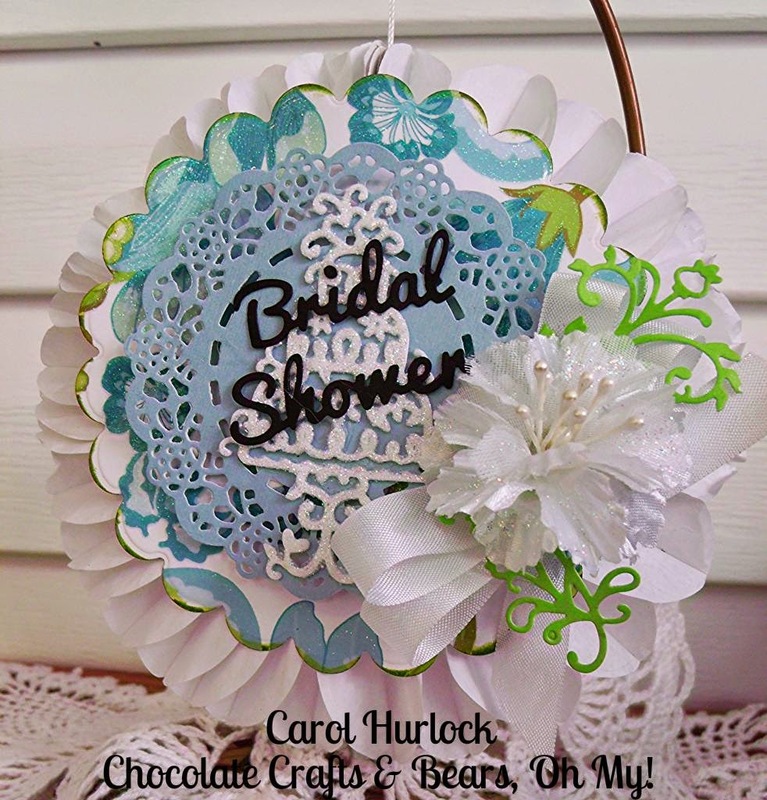 Decorated card with Clear Dew Drops and rhinestones. 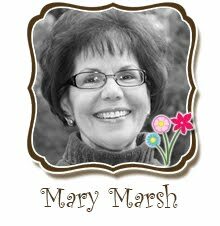 It's Kathy here with you today with a sweet love card using 2 beautiful dies from the Scrapping Cottage, Flourish Love Heart and Plumeria and Leaves. 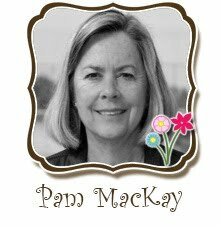 The flowers and leaves were cut with white card stock and colored with chalk inks using make up applicators and sponges. I shaped them a little and added some “Lemon Chiffon“ Mini Prills to the flower centers. 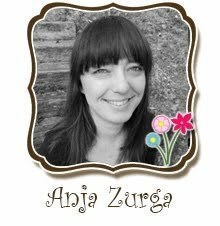 The heart was cut with yellow card stock, glued to the white mat and them embossed with the Perfect Polka Embossing Folder. I then add the leaves and flowers around the side of the heart. The white mat was glued to a yellow mat with the sentiment stamped on the bottom. This was then added to a Weathered Wood card base using pop dots. I added trim, adhesive pearls, bow and button. I am absolutely Loving this new CottageCutz Wedding Release, so for today's card I just had to share another Wedding card I made using the beautiful CottageCutz Swans. 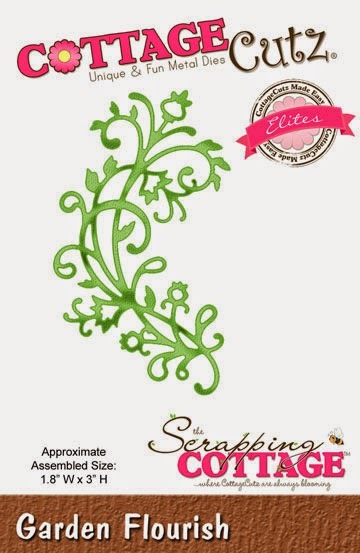 I will start with the Design Paper I used, its from DCWV and I purchased it at the warehouse sale back in 2012, it was the 1.00 sale they had, AWESOME SALE!!! I distressed all layers on this card. 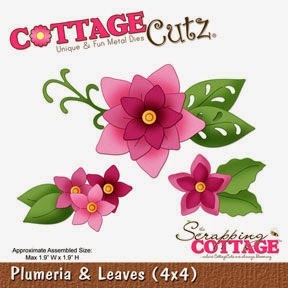 Next I cut the CottageCutz Swans in white card stock, and distressed them as well. I did add some American Crafts Glitter to them. LOVE using these glitters I bought at the warehouse sale American Crafts had. I used Really Reasonable Ribbons Seam Binding, and there is a little story behind this. As I left one of my Ink pads open for several days, and low and behold, guess what was laying on the ink pad???? YEPPERS it was my Seam binding it was grey, and the ink made it kinda black, so I used it up on this card...hehehee no wasting ribbons in this house :) I also used some of the tan seam binding. The flowers are the Sweetheart Blossoms that I get from the RRR Store, and I have to say these have become my favorite flower to use. I LOVE them too! Lastly I added some pearl wedding embellishment to my ribbon treatment. 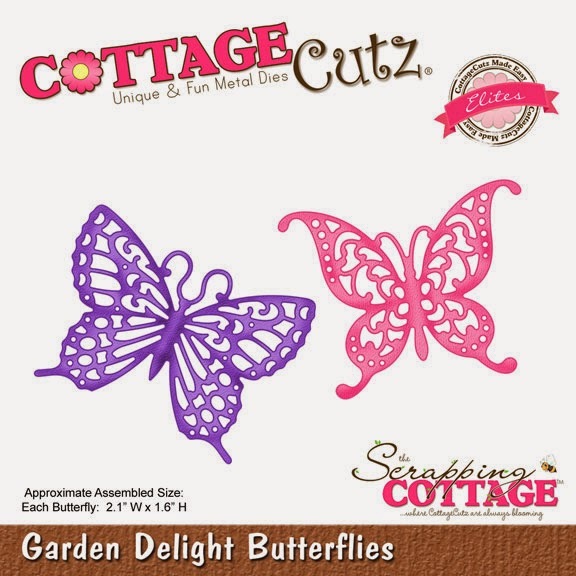 I am LOVING this CottageCutz Wedding Release, its absolutely BEAUTIFUL!!! 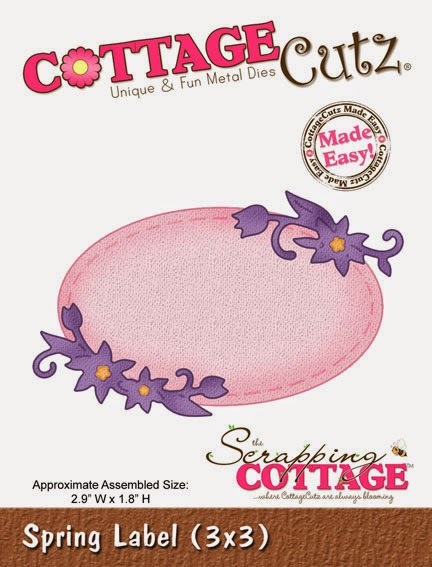 Hello everyone and welcome to another edition of CottageCutz die projects. 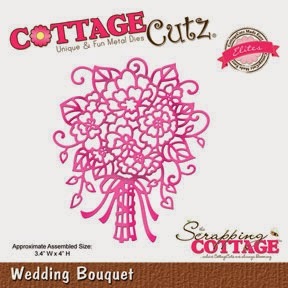 CottageCutz has a beautiful Wedding release. It's been a long long time since I have done a 12 x 12 layout. I worked on this one for days-4 days as a matter of fact. I found this picture of my beautiful Mother and I and knew I wanted to scrap it. 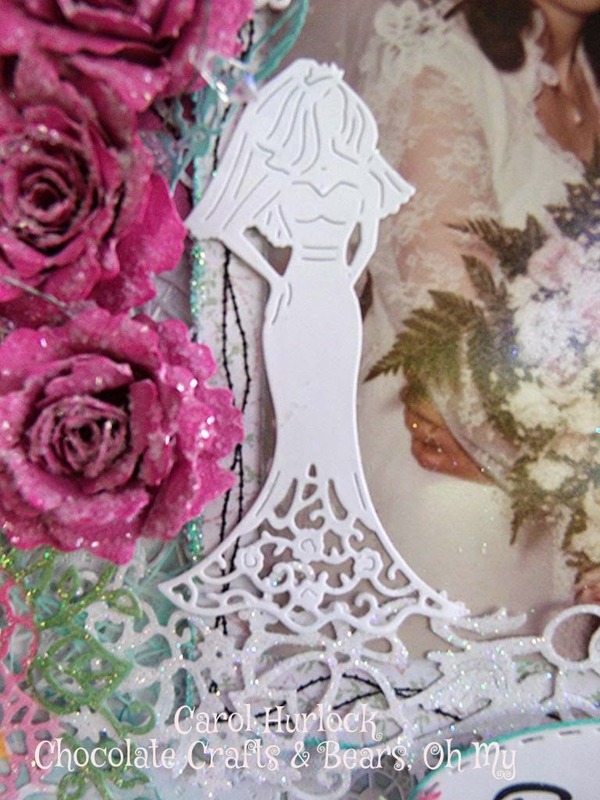 Here's a close up of the pretty Bride die. She was perfect to accent my picture. I used the Wedding Bouquet for the corner and colored it with Copic Markers to match the Spring Label that says Bride under the picture. 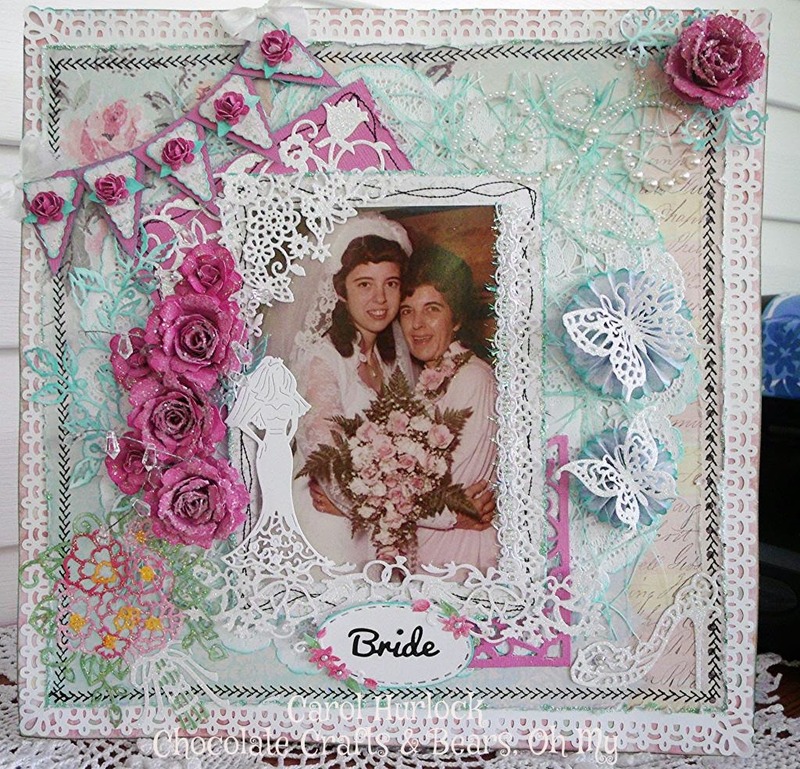 The Wedding Border die was used under the picture. Yes, those are handmade tiny roses and yes they weren't easy to create-but they do look perfect and very sweet on this banner. 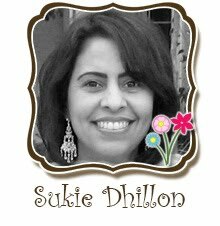 The corner of the picture has the Fancy Floral Butterfly Corner die. 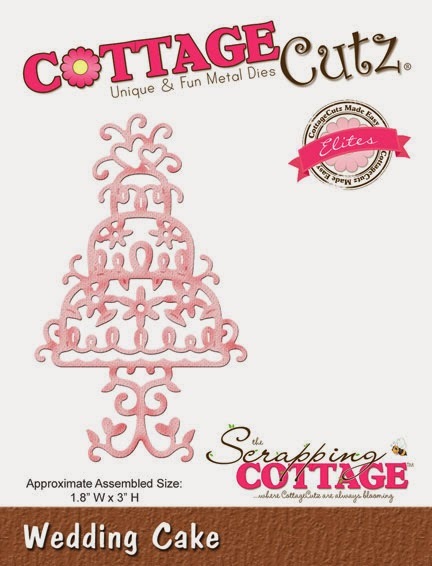 You can see the Fancy Floral Background die on top of the pink accent piece. 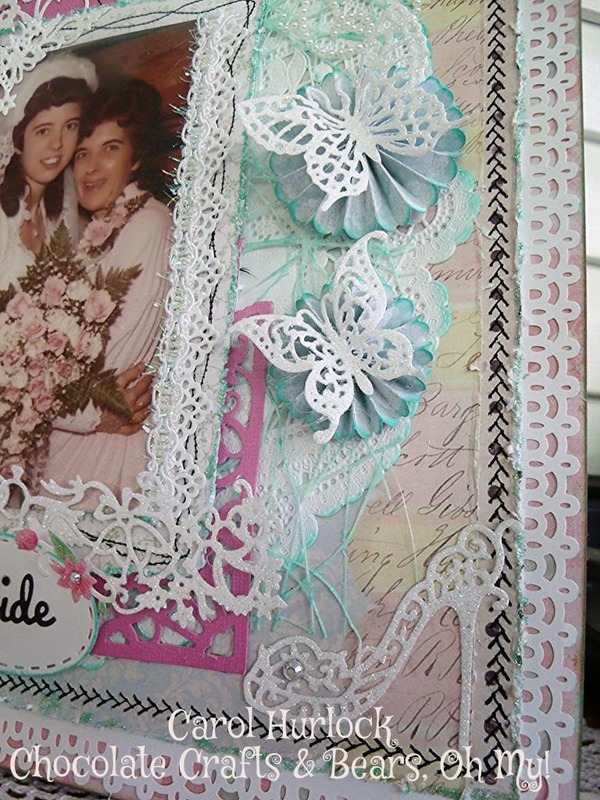 Here you can see the Elegant Shoe, Garden Delight Butterflies, and the Fancy Lace Border on the edge of the picture. This corner has a pretty pearl flourish. Under the handmade rose is the Garden Flourish die. The Fancy Floral Corner #1 was used on the right hand corner of the picture. 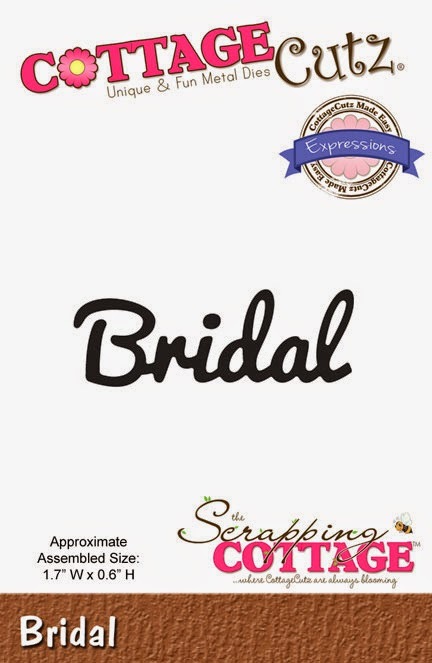 I used just the word "Bride" from the Bride & Groom Expressions die. 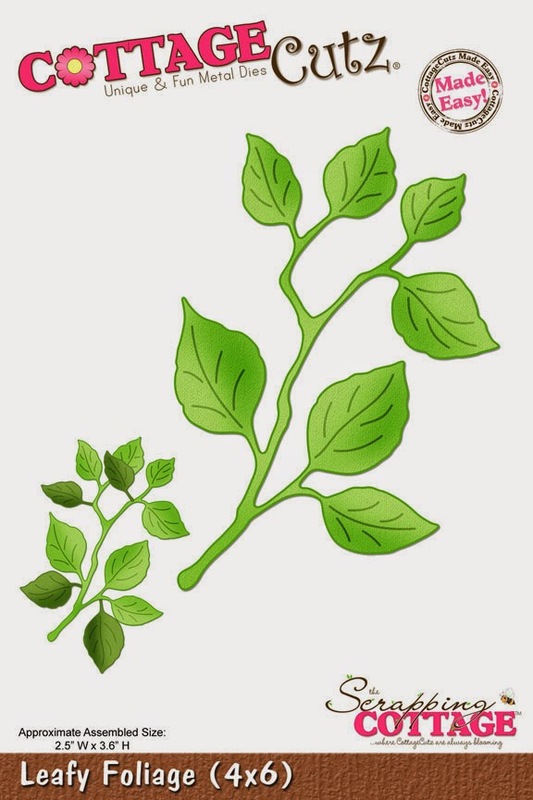 For the leaves I used the Bella Leafy Branch. The paper is Melissa Frances. You could say I consider this a labor of love because of all the detail. Thanks so much for stopping by today to view my creation. I truly appreciate it. Happy Crafting!